When we think about learning disabilities, we often think about young children who struggle through the early years of school as a result of certain impairments. Yes, it’s usually most noticeable in younger children but learning disabilities can also affect older children and even adults. If the disability is not managed appropriately at an early stage, it can have a devastating effect on that person’s entire life, and they can miss out on many wonderful opportunities. 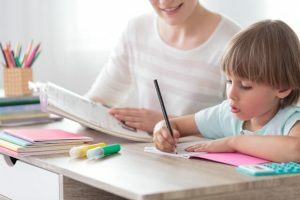 While many people recommend regular and ongoing therapy to deal with various learning disabilities, it’s also important for parents to continue this therapeutic environment at home. It’s not an easy task for many parents since the impairment might be difficult to comprehend at first. In some extreme cases, parents take time off from work to be with their child and help them reach the most important milestones. Your therapist can help make recommendations regarding tools and a daily routine, but it’s also good to know that there are some great apps out there that can provide tremendous support. Let’s face it, not every day is the same and we sometimes find ourselves running errands for hours with our kids in tow. What better way to keep them calm and help them learn while we’re on the go than with helpful, educational apps? The apps listed below are designed to address specific needs so that your child can better cope and even overcome their impairment. This app is free for the iPad and is aimed at those with dysgraphia and dyslexia. It helps them solve math problems by providing a simple and easy to understand tool. This is a great way of doing math without having to even pick up a pencil! This innovative app is great for students who have difficulty communicating. For example, if your child struggles to say what they want they can use this app to express their needs. They express themselves through a sequence of sounds, words and images. The app can be configured to feature particular images and play specific sounds which means that you can set it up to suit your child’s specific communication needs. The key to the marketing of this app is that it is ‘by dyslexic people, for dyslexic people‘. It features a variety of features for students ranging from Grade K to 12. Some of the most helpful features include a type pad, predictive text, text readers, and digital overlays. This app is perfect for children aged 6 to 12. It is designed to help them develop skills that lead to emotional intelligence, and it provides reports that teachers and parents can use to track the child’s progress. Understanding the child’s progress is essential for moving forward and opening even more productive conversations as well as other opportunities to communicate. It’s also a great way of ensuring that you are working along with the child’s pace rather than speeding ahead. This is excellent for children suffering from stress and anxiety disorders. It’s a meditation app which encourages the user to think about their feelings while providing brief mindfulness and meditation exercises. These exercises are tailored to the mood they are experiencing and it’s perfect for teaching various coping skills. Not only will children benefit from these skills, but parents will notice a difference too! This is an excellent app for children and adults who are struggling with reading disabilities and ADD/ADHD. The user can highlight the text which is then read to them. This is perfect for those who learn and comprehend lessons better through hearing rather than reading. This simple app is great for young people with autism. It allows them to express their emotions through fun and easy-to-use games. The feeling finder is excellent for telling people around them how they are feeling. It’s a particularly handy app for those on the non-verbal part of the autism spectrum since their emotions can be particularly difficult to read. These are just some of the apps available and there are plenty of other options out there too. It’s not necessarily important to choose the most popular app but rather the one that caters to your needs. Some apps are free while others offer a trial version. You can open up more features by purchasing the full app or making use of in-app purchases. 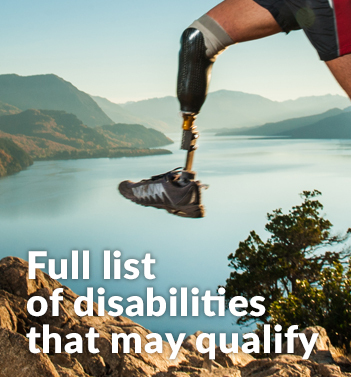 Remember, for those who are suffering from such an impairment, you could qualify for a disability tax credit and other benefits. So, while paying for an app might seem like it’s not within your budget at the moment, these tax benefits could be just the financial break you need in order to afford such important tools. Call Tax Benefits Canada at +1 (855) 413-6971 for more information.